My interest in film music predates even playing guitar. My Dad (who passed away when I was 14) was very interested in the arts for a businessman. He would often takes us to movies, no matter the age restriction, if he felt the concepts would be good for my myself and my brothers. Three that I can think of are: The Dead Poets Society, Dances With Wolves, and Glory. Obviously the themes from Star Wars and Indiana Jones were huge with me (and everybody else) as a tweenager in the late 80’s. But these “educational” movies that my dad took us too also really had spectacular music. I would sit there as a 12 year-old totally impassioned by the scene and the music. Once I started playing guitar at 14, attempting to play these song on guitar was a forgone conclusion. This is my favorite theme from the movie Glory. It’s one of 3 main themes used in James Horner’s classic score. It has a very triumph of the human spirit quality to it. 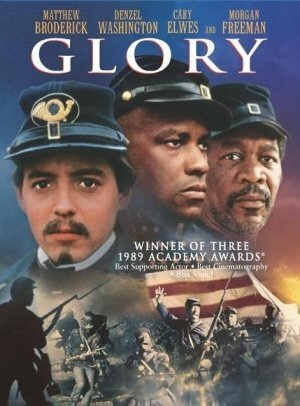 Glory is the incredible true story of the Massachusetts 54th volunteer infantry. Made up entirely of African-American men (expect for their officers) they’re known for the exceptional bravery at Fort Wagner – a beachhead fortification in South Carolina. This was the movie that put Denzel Washington on the map as one of the greatest american actors. This melody is most obviously used in the song, Preparations for Battle. It’s also very poignantly use in the famous ‘Give em’ hell 54th’ scene in Glory at 2:00 in. The guitar tab for Glory is two pages long and beautifully written. It’s played straight through without repeats. Save for the quirky section on the middle, the Glory theme is relatively easy to play. This song is perfect for intermediate level guitar players. If you’re new to this blog, 99% of time I’m attempting to make everything as easy to play as possible. First and foremost the simpler route sounds better to me. Secondly, it’s easier for me to play and create for you. Playing lots of easy songs creates the foundation of your guitar playing. The volume of your work should be relatively easy — and difficult things should comprise a small percentage of your overall playing. If interested, my guitar is a Cordoba GK Studio. Also, I only use Savarez Red Card strings. I play with my fingertips (rather than my fingernails). The Savarez Red Card strings use rectified nylon on the trebles that gives me a easier sensation on my fingertips. They sound amazing too.